On August 6, 1944, as the Red Army advanced westwards and entered Latvia, the Germans began to evacuate the inmates of Kaiserwald to Stutthof, in Poland. Those who were not thought to be able to survive the trip from Latvia to Poland were shot. 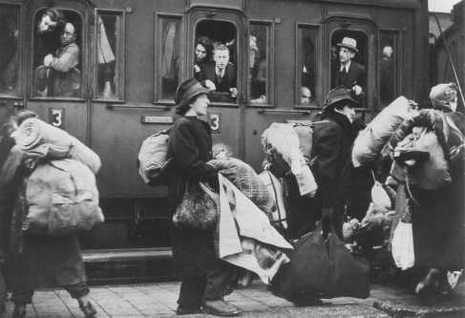 All Jews in Kaiserwald who had ever been convicted of any offense, no matter how minor, were executed just prior to the evacuation, as were all Jews under 18 or over 30. 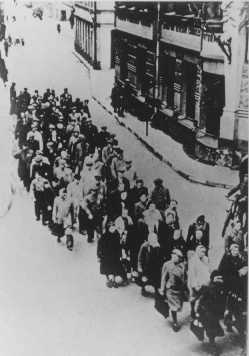 By September, 1944, all the inmates of Kaiserwald had been moved to Stutthof. The Red Army liberated the camp on October 13, 1944. As Soviet forces approach the Latvian border, the Germans begin the evacuation of the Kaiserwald concentration camp. 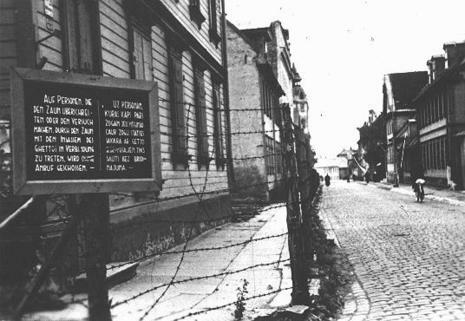 They kill many Jewish prisoners in the camp and transfer the remaining Jews by barge to the Stutthof concentration camp near Danzig.